thoughtful, serving community. We worship in the Church of the Holy Spirit, the chapel of Kenyon College. some to the village and county, some to the larger Church and word—as heralds of Christ’s peace and love. We joyfully practice the Episcopal Church’s Baptismal Covenant which calls us to “respect the dignity of every human being.” Seeker or believer or both or neither, from the Kenyon Community or beyond, straight or LGBTQ+, single or partnered, married or divorced, progressive or conservative or apolitical, of any ability, of any racial or ethnic or national identity–you are welcomed as part of God’s diverse creation. 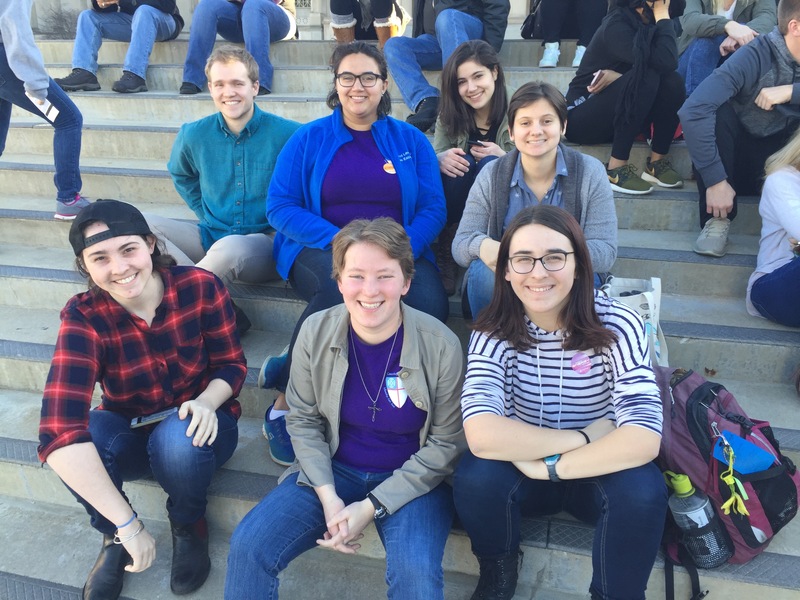 Harcourt Parish is made up of students, faculty, and staff from Kenyon College as well as residents from the local communities in Knox County. For many members of the congregation, this may be their first experience in an Episcopal parish. We welcome newcomers from various backgrounds as we seek to love God and our neighbor together on the Gambier hilltop, and beyond. Above all, we seek to serve God by being a loving, joyful welcoming community for all people. 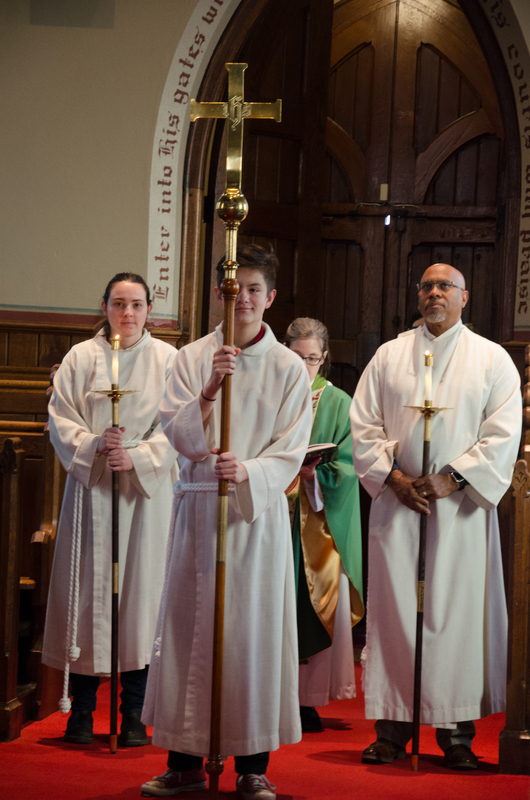 Our faith at Harcourt Parish is rooted in the Episcopal traditional and liturgy. That means we affirm the historic Christian faith as articulated in the Nicene and Apostles’ Creeds. We also believe in the Holy Bible as the witness to God’s love for the human race that has been passed down through the generations of the Church. We believe our calling as followers of Jesus Christ rests on the two great commandments: Love the Lord your God with all your heart, mind, soul, and strength, and love your neighbor as yourself. Rev. Rachel Kessler serves as both Priest-in-Charge of Harcourt Parish and Chaplain at Kenyon College. 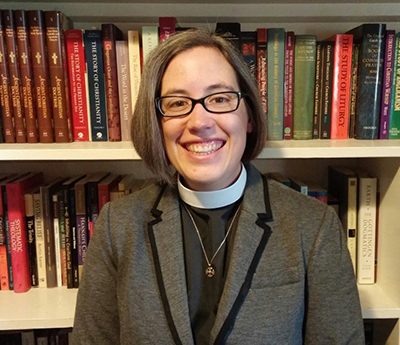 Rachel graduated from Kenyon in 2004, then moved to Toronto, Ontario where she earned a PhD in Medieval Studies before moving on to seminary at Wycliffe College in the University of Toronto. Rachel’s husband Leeman is also a Kenyon graduate. They live in Gambier with their daughter Amanda, son Martin, and border collie/lab mix Bilbo. 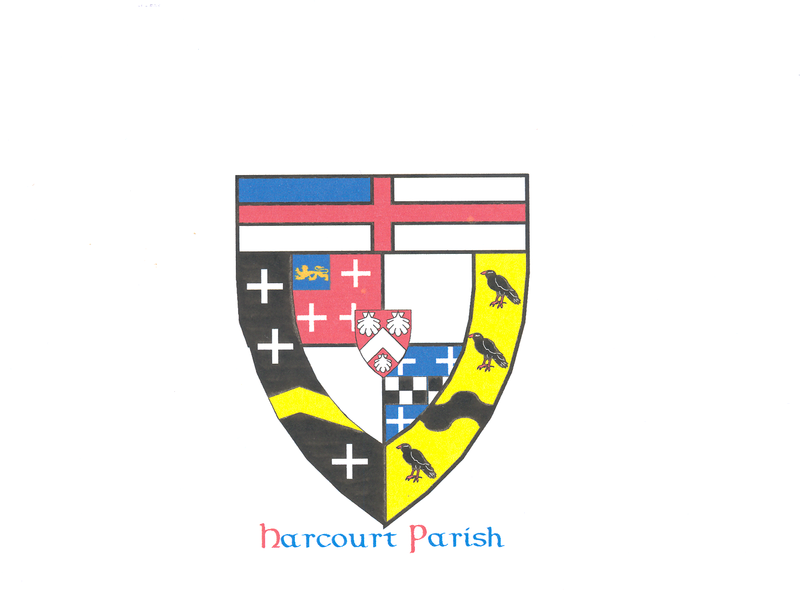 During the first century and a half of its existence Harcourt was very much the poor relation, welcome of course to attend the worship services in the college’s chapels, but with few opportunities to direct them. Then in the 1960s Kenyon College began withdrawing from its religious heritage, and for the last forty years the parish has offered the only regularly scheduled services in the Church of the Holy Spirit. The result of Harcourt’s“peculiar situation” has been a parish peculiarly liberated from the necessity of maintaining and the security (and perhaps the pride) of having its own church, and a parish peculiarly intertwined with the life of and dependent upon the generosity Kenyon College. As a direct result of its peculiar history Harcourt is small, welcoming, and characterized by the openness and richness of its liturgically based worship, the vital presence of Kenyon students in every facet of its life, and the extraordinary caliber of its programs of charitable outreach. Or, get in touch with us. Contact us here.